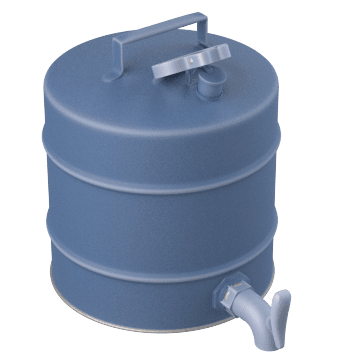 Minimize fire and vapor hazards by storing flammable liquids in these Type I and Type II safety cans. These portable safety cans automatically vent flammable vapors to prevent buildup that can cause combustion. 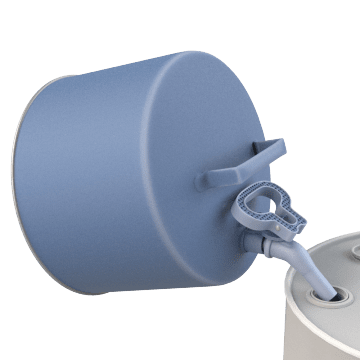 Self-closing, spring-loaded lids minimize leaks. These Type I cans have a single opening for pouring, venting, and filling. Use a funnel to help reduce spills when transferring liquids into the container. Dispense liquids from these Type I cans without tilting them or lifting them off the shelf or elevated platform where they're stored. 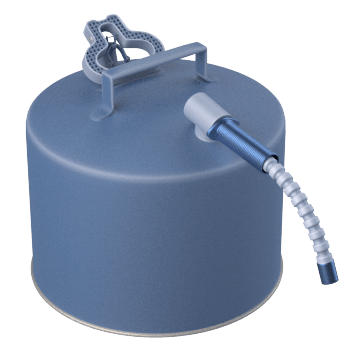 They have an integrated faucet at the base of the can that allows for controlled dispensing of the can's contents into beakers and other small containers with minimal spilling or splashing. Tilt these cans to dispense their contents through the integrated faucet at the top of the can. 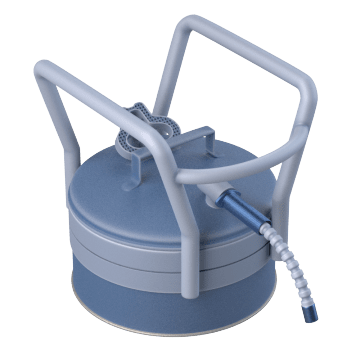 The faucet allows for controlled dispensing of the can's contents into beakers and other small containers with minimal spilling or splashing. 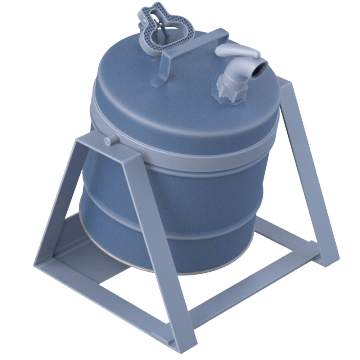 These Type II cans have two openings, one for pouring from the container and one for venting and filling the container. 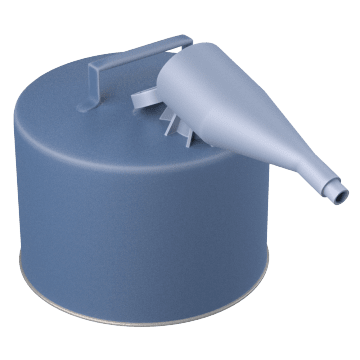 The separate vent opening helps reduce sputtering and splashing when pouring, and an integrated spout increases pouring accuracy and help reduce spills. Suitable for transporting flammable or hazardous liquids in a vehicle, these cans have integrated roll bars that protect the spout if the can is tipped, and a fusible-link closure that prevents vapor release during transportation but melts at high temperatures to vent the can and prevent it from combusting or exploding in the event of a fire. The vented spout helps reduce spilling and automatically closes after pouring.